We supply anything from a simple O-ring to a complete pump, filter or multiport valve repair kit. Got a leaking pump? 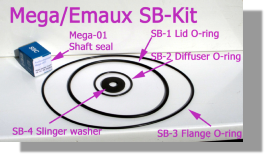 We specialise in parts for Hayward Pumps, Sta-Rite Pumps and Emaux/Mega Pumps but can supply seals for most popular pumps. We supply the O-rings and gaskets including the spider gasket for Hayward , Emaux , Mega, Midas and Praher multiport valves. 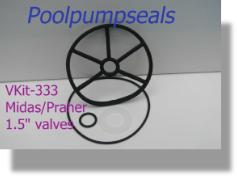 If your pump or valve is not listed , please contact us on sales@poolpumpseals.co.uk with any details you have on the pump, filter or valve and we will come back with the part no and price if we can trace it. Delivery is by Royal Mail 1st Class Post for the UK and Via Air Mail for overseas orders. We are not VAT registered so our prices are as shown on the various pages.